Trump Administration Says It Will Comply With Family Reunification Deadlines At the same time, HHS Secretary Alex Azar criticized the deadlines as "artificial" and said that they prevent the government "from completing our standard or even a truncated vetting process." Health and Human Services Secretary Alex Azar, seen here last month, said that the government will meet a federal judge's deadlines for family reunification. "We will comply with the artificial deadlines created by the court, deadlines that were not informed by the process needed to vet parents, including confirming parentage, as well as confirming the suitability of placement with that parent," said Azar. Azar told reporters on Thursday that there are "under 3,000 children in total" who "may have been separated from their purported parents who were taken into DHS custody." Approximately 100 of those children are under the age of five, he added. The federal judge's order on June 26 said that families must be reunited within 30 days, and children younger than five must be reunited with their parents within 14 days. Azar says that the first such deadline is next Tuesday evening. The government's pace in reuniting families has drawn criticism from immigration advocates. As NPR's Joel Rose reported, "immigrant advocates say the government is in no hurry to release parents from immigration detention or help those who are released regain custody of their children." 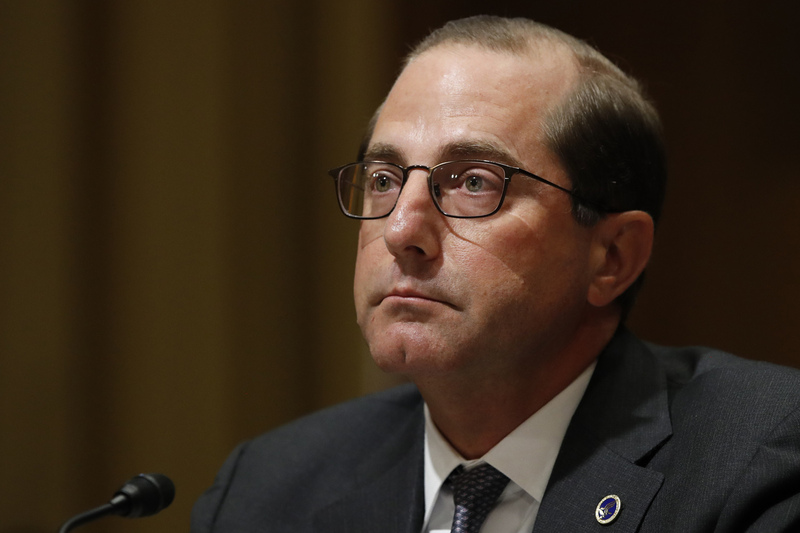 Azar stressed that HHS employees are working "overtime to connect minors with verified parents," including by conducting DNA tests to confirm parentage. The DNA tests are part of the "more expedited" process that Azar described. He added that DHS is relocating parents of the children between ages zero and four to facilities "extremely close" to their children, "so we can as expeditiously as possible, reunite children with their parents to meet the court's deadline." The federal judge's order is the result of a lawsuit by the American Civil Liberties Union. "The Trump administration's attempt to shift the blame to the court is incomprehensible given how much time the court gave the government to fix its own mess," Lee Gelernt, deputy director of the ACLU's Immigrants' Rights Project, said after Azar's comments. Azar also stated that the current situation is "partially born out of years of congressional failures to fix our immigration system." He said that any confusion about the process is "due to a broken immigration system and court orders," not because of HHS policies. As NPR's Camila Domonoske and Richard Gonzales reported last month, "President Trump signed an executive order reversing his policy of separating families — and replacing it with a policy of detaining entire families together." Azar said that once children and parents are reunited, they will be held in DHS custody. He added that he plans to request additional time from the court "to ensure that we can do the job that we believe is necessary to protect the children in our care." Rose and NPR's Tom Bowman reported last month that the Department of Defense is planning to build "tent encampments on two military bases in Texas to house migrant families apprehended at the border."